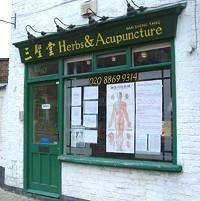 San Sheng Tang' Herbs and Acupuncture in Pinner is one of the authentic natural therapy clinics in London. It provides high standard professional services of acupuncture, traditional Chinese herbal supplements and TuiNa massage. Over the past eleven years since it moved to the beautiful town of Pinner, thousands of local people have benefited from it's treatment. Now it has patients from across the UK, EU, USA, Australia and Africa. Most patients being treated had complaints that were either too complicated or untreatable by conventional medicine. The patients were amazed to find an alternative cure. Here are some of the successful cases worth mentioning that were treated in the last year. Localized swelling as the result of cancer surgery normally does not cause big problem. However some people may experience feeling of pins and needles, numbness or even pain when the swollen becomes lymphedema. Patients have to use elastic sleeves or bandages combined with daily manual compression to relieve the syndromes. Many people particularly those celebrities who have to show their arms in their work may feel quite inconvenient. Surgical treatment so far is not yet available. This clinic after five years research has developed a special acupuncture technique which could deal with it in just 6 to 10 sessions. It is particularly quick with those at the early stages. Nerve paralysis in the face as the result of Bell’s palsy, stroke or traumatic injury may cause weakness of muscles on one side of the face. Most people can recover without treatment or with some medication. But a small number of people may have permanent muscle weakness or other nerve problems on the affected side. Those patients don’t have to complain of being unlucky because this clinic may be able to help. It normally takes 6 to 10 sessions of acupuncture to see the clear improvement. Millions people in the world suffer from adhesion after operations. Sometimes the pain is so severe that the patients have to keep on increasing the dosage of painkillers such as morphine. They cannot go back to work and also lose their normal personal and family life. The worst cases we treated in London were two ladies who had suffered adhesion pain for more than 10 years after 7-8 times of operations. Both patients were cleared of pain after just 6-10 sessions of acupuncture. If you are suffering pain from surgical wounds, or your wounds refuse to heal due to infection after operations such as caesarean section, cancer surgery or any other operations, doctors including those in Harley Street may repeatedly give you different kinds of antibiotics or surgeries but still not working. Don’t worry. This clinic can help you sort it out quickly with acupuncture! It takes only 1-2 weeks for the wounds to completely heal and the pain can disappear in just 1-2 sessions. When you have episodes of either diarrhea or constipation but colonoscopy can’t find anything wrong, you are most likely suffering from irritable bowel syndrome. It may relate with inappropriate food, stress level or immunity. 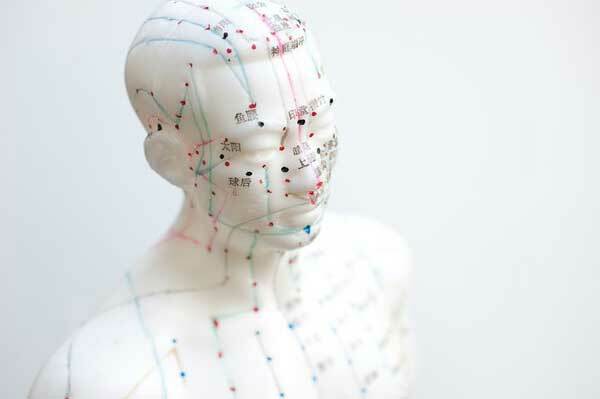 Regular acupuncture would give you a surprise in relieving the symptoms and improve your quality of life. Two of my patients lost their feeling respectively on upper body and left side of the body for 6-11 months after car accidents. They also complained of having numbness, pins and needles in their extremities. GP Doctors could not do more to help them other than just prescribing nerve medicine. Our clinic acupuncture has showed its advantage in being able to treat these neurological problems. The sensory disturbances can be cleared after only 4- 6 sessions. Severe injuries caused by slipped discs need an operation but most cases do not. With the help of an MRI scan we can quickly find out the degree of injury and differentiate it from the other kinds of back pain. last year among 6 slipped disc patients, 5 of them have been successfully treated by us with acupuncture, cupping and TuiNa massage. It has been clinically proven that acupuncture can treat many internal and external diseases, in particular chronic ones such as headache, body pain, arthritis, sciatica and so forth. However, as an old form of healing, acupuncture has its limits and needs to progress with the time. San Sheng Tang is proud of being able to help the local people in respect of health. We can’t guarantee the outcome of treatment but we always try our best to help everyone. Therefore, whenever you have a pain, please do not hesitate to give us a call to find if we can help.